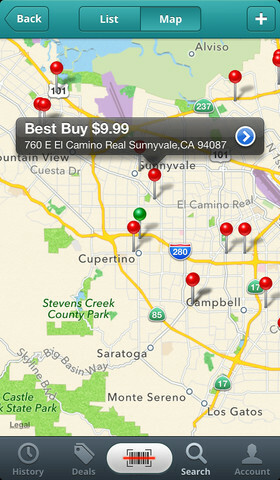 ShopSavvy is an iPhone app developed by ShopSavvy, Inc. Featuring a fast barcode scan that can handle all UPC, EAN and QR code formats in any orientation, ShopSavvy is also lets users search for products and compare prices using keyword search as well. Over the past few weeks, I’ve actually tried out a ton of barcode scanning apps as part of my ongoing quest to find the perfect shopping assistant. Nobody likes overpaying for stuff! 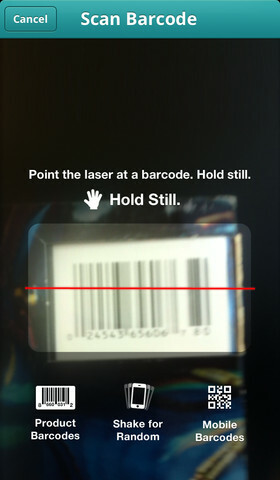 I’ve tried four or five barcode scanning apps this month alone, and ShopSavvy ranks pretty highly among the competition. I tend to dislike apps that make you sign up for an account: I think we can all agree that we have enough apps sending us junk email and accessing our personal data. When I want to use an app, I just want to download it and get started right away, you know? Thankfully, although ShopSavvy tries to get you to sign up for an account right off the bat, you can actually use the barcode scanner without going through all that sign-up rigamarole. That being said, you can’t get all the benefits of the ShopSavvy app without signing up. For example, one of the big selling points of the ShopSavvy app is the ShopSavvy Wallet to buy items with just a click. Plus, ShopSavvy is community-powered: if a product doesn’t show up when you scan it, you can add it to the system. In addition to finding the cheapest price on items in stores near you or online, ShopSavvy lets you shop savvy with tons of deal info, from Groupons to shipping promos. You’ll also score coupon codes, rebates, weekend sale info, and more. If you can’t stand paying too much for food, DVDs, tech goods, and more, ShopSavvy is a great free app that will keep you from overspending ever again. 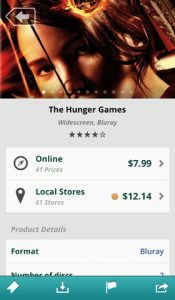 ShopSavvyis compatible with iPhone, iPod touch, and iPad. Requires iOS 5.0 or later. This app is optimized for iPhone 5.